What will happen to your child if they're convicted for a juvenile crime? The Redmond juvenile criminal attorneys at the Law Office of Jason S. Newcombe have seen firsthand how convictions often seriously alter a young person's life, which is why you should do everything in your power to protect their future. Our role as professional litigators is to help you explore your child's legal options, be at their side whenever they face an important court appearance, and aggressively fight to avoid the damage a conviction can cause. 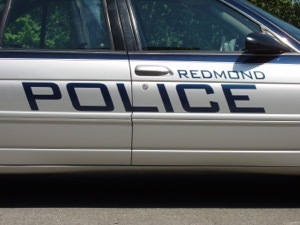 Our Redmond juvenile attorneys first pursue the dismissal of criminal charges, and if this isn't possible we then focus on protecting their freedom and minimizing their punishments. Juvenile cases In Washington involve minors under the age of 18 who are charged with committing a crime. These serious cases are handled by the juvenile court. It is a process that can place a great deal of emotional strain on everyone in the family. All it takes is one youthful mistake to incur a lifetime of repercussions, so take steps to protect the interests of your child by speaking with an attorney today. 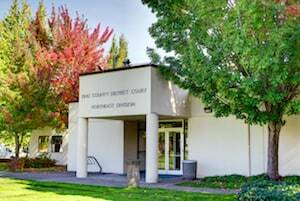 Our Redmond juvenile criminal lawyers realize that this is difficult time for your family, but with more than 30 years of combined legal experience at our disposal, we know how the courts handle these sensitive cases. Put your trust in our Redmond juvenile crime attorneys as they help you handle a criminal charge. Your child faces an automatic detention hearing only two days after they're charged with a juvenile crime. This isn't a lot of time, so your Redmond juvenile criminal lawyer will help you understand what to expect from this process, and go over potential outcomes. While a public defender must be supplied by the state, sometimes they are not available on such short notice, and you don't want to take any chances when it comes to this important hearing. Our law office offers a free consultation, so that you can start getting answers before taking your first step into the courtroom. We will want to interview your child in an effort to better understand why their arrest happened and if it was warranted. In cases involving serious criminal charges, the prosecution may want try your child as an adult, but we will fight to avoid this potentially devastating outcome at all costs. The juvenile court's main goal is the rehabilitation of minors, so your child could be enrolled in a treatment program by a judge. Youths may also face more serious punishments that include community supervision, probation, detention, and jail, although the sentence may only last until their 21st birthday. Negotiation with the prosecutor is an important part of any criminal case. Our Redmond juvenile crime attorneys will work with you to develop a strategy designed to protect your child's best interests. During police questioning we will be at their side. We may also request that your child be placed in a diversion program, which would allow their charges to be eradicated from their record. 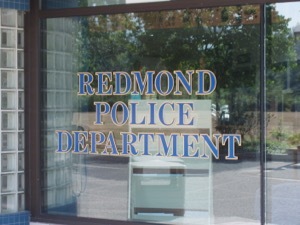 Get help from our Redmond juvenile crime lawyers today and take advantage of our free consultation offer.